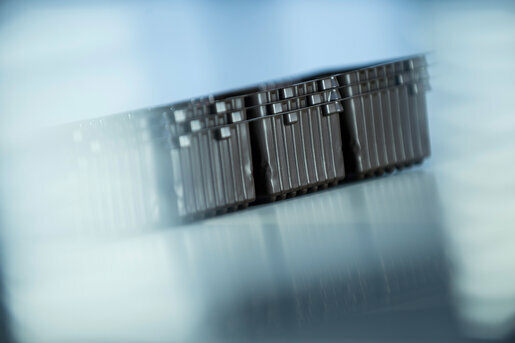 We have the right stacking and unloading systems as well as sophisticated solutions for downstream processes - individually tailored to the requirements of your product and your production. 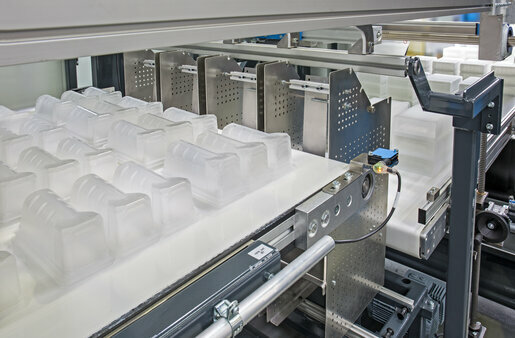 Optimize your production with the automation solutions from KIEFEL Packaging. 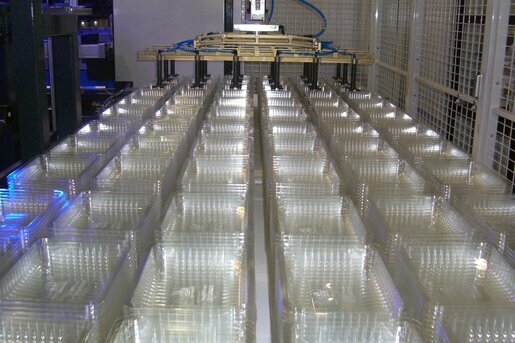 The tilt stacking of your produced trays contributes enormously to high machine uptime and the quality of formed parts. Vertical stacking systems and stacking support increase your availability and reduce rejects. With our tilt-stacking system for the KMD Speedformer series you can remove and process your products ergonomically and quickly. Pick & Place systems provide continuous output. A longer conveyor can serve as a buffer. The formed parts can be removed in an ergonomic position. A/B stacking is an economical solution when processing thin films and utilizing a high level of automation during unloading and filling. The KMD systems are perfectly designed for this. Our solutions such as camera quality control systems and the SPEEDPACKER optimize the packaging and further processing of your products. Manual processes are replaced and staff costs are significantly reduced.